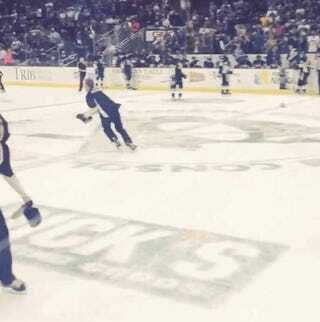 Thanks to @FiveForBoarding for this video of a Penguins ice girl cleaning up hats after Jussi Jokinen's third goal. Who will clean up the ice girl? I have a theory that all gifs are better when someone falls out of the frame. It's highly scientific.